"I still ask myself, ‘How did I manage before, without EiB Financial Analytics’. I would thoroughly recommend that any organisation with multiple Cost or Profit Centres needing a flexible, easy to use Sage 200 reporting solution to take a look at EiB Financial Analytics." Autism Initiatives UK and its subsidiary,First Initiatives are registered charities whose primary aims are to meet the needs of people with Autism, learning disabilities and or mental health problems,their families and carers throughout the UK by providing a comprehensive range of services which are person centered, professional and innovative.The organisation currently provides direct support for over 600 individuals in over 80 locations throughout the north of England, Isle of Man, Northern Ireland, Scotland and Ireland. 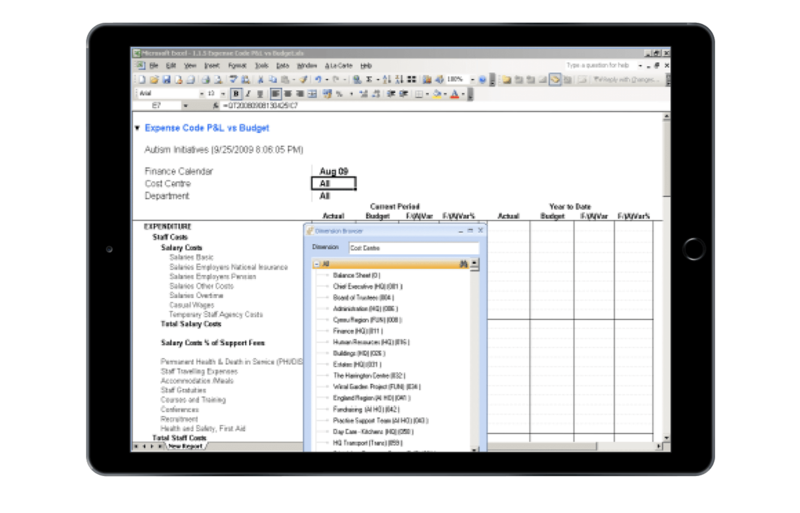 Prior to the implementation of EiB Financial Analytics, the reporting processat Autism Initiatives and First Initiativeswas extremely labour and resource intensive.It requiredthe extraction of a detailedTrial Balance from Sage 200 into Excel, and the use of Excel Macros to disseminate the result into over 100 spreadsheets with a variety of links and cross checks to produce reports for each of their Cost Centre Managers. Once produced, each set of spreadsheets foreach Manager had to be manually saved and then attached to individuale-mails, resulting inthisprocessalonetaking up to oneday to complete.“Maintaining such a large and complex reporting environment proved a challenge particularly with only one person in the organisation having an in depth understanding of the configuration of ourExcel Worksheets”, says Janice Howard, Finance Director at Autism Initiatives.“What we required was a solution that would simplify and shorten our process and provide the flexibility of reporting we needed”result into over 100 spreadsheets with a variety of links and cross checks to produce reports for each of their Cost Centre Managers. Once produced, each set of spreadsheets foreach Manager had to be manually saved and then attached to individuale-mails, resulting inthisprocessalonetaking up to oneday to complete.“Maintaining such a large and complex reporting environment proved a challenge particularly with only one person in the organisation having an in depth understanding of the configuration of ourExcel Worksheets”, says Janice Howard, Finance Director at Autism Initiatives.“What we required was a solution that would simplify and shorten our process and provide the flexibility of reporting we needed”. “EiB Financial Analytics is now the source of all our Monthly Management Reports” says Janice, “Detailed Transactional reports by each Operating Unit (which were not easily available for distribution prior to the installation of EiB Financial Analytics),are now readily available. Furthermore, by using EiB Financial Analytics’Report Distribution Module we can now select specific reports for each relevant Cost Centre Manager, and have these automatically emailed out without any user intervention or delay. 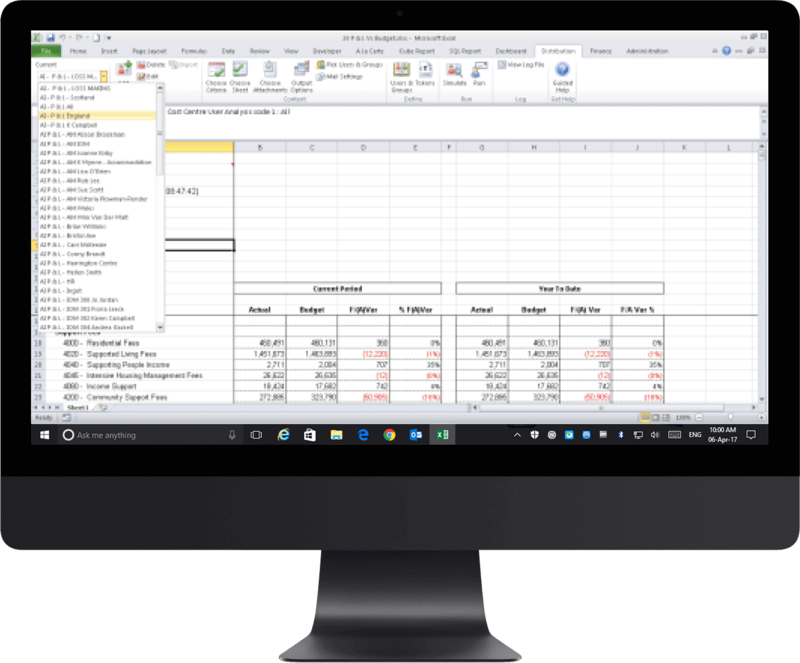 We can also attach other non-Excel based documents usingEiB Financial Analytics ’s Report Distribution Manager to include these as part of the overall report pack. 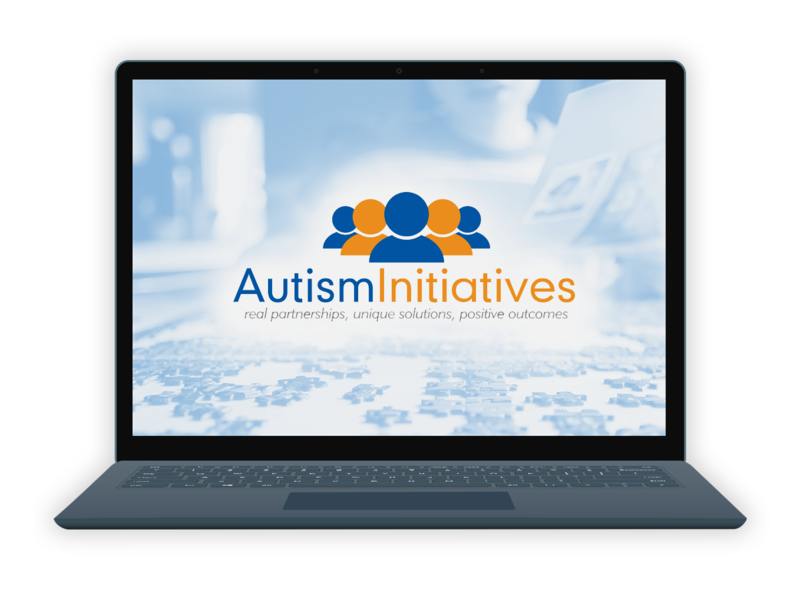 Of course, product is only one part of a Management Reporting solution, the other factor is the people used to implement and assist companies like Autism Initiatives “We were quite demanding as a customer, but every query and question resulted in a solution and the virtual training was excellent. Excel inBusiness have been very personal and professional throughout our entire implementation.